The postal history of the Great Britain is the oldest in the world of philately, dating back to 1840. It also established one of the most efficient postal system ever laid out in the world. The Great Britain also introduced the same system in all its colonies and protectorates, where it is still functioning as efficiently as it is in the Great Britain today. It may be mentioned here that the first ever stamp of the South Asia was printed in 1852 from Karachi, Pakistan (then part of the British Empire) and was known as Scinde (Sind) Dawk. Four major eras of the British postal system can be best described as the Victorian, King George V, King Edward VIII and the present Queen Elizabeth II. The Penny Black series of the Victorian times is the most famous that also includes the world’s first postage stamp in the shape as we know it. My album starts from the King George V era and the stamps in the left lower column bear the portrait of King George V, issued in 1912s onwards. 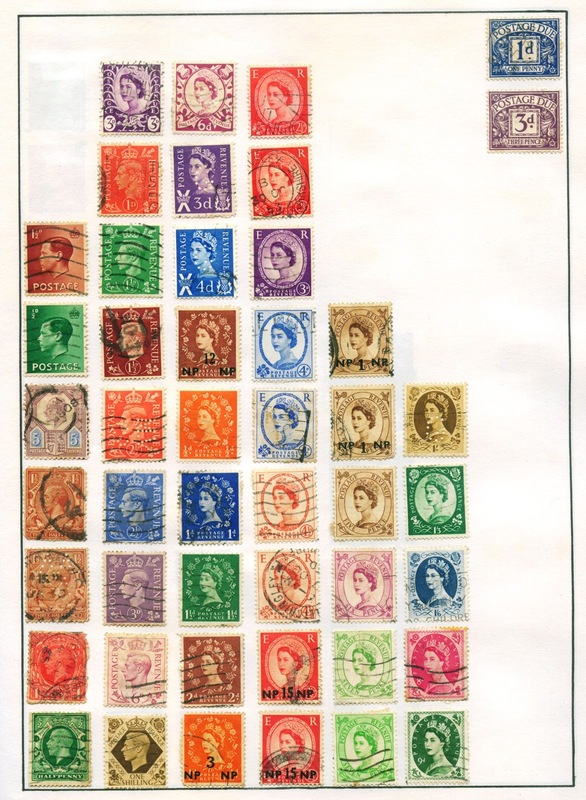 These are followed by stamps bearing portrait of King George VI, issued in 1930s (stamps in the left column over the King George V stamps and the second column from the left). The bulk of my stamps are of the King Elizabeth II era, starting from her coronation in 1952 till date. I will continue to share pages from my stamp album of British stamps in days to come.